"Icewing" redirects here. For more uses, see Icewing (disambiguation). 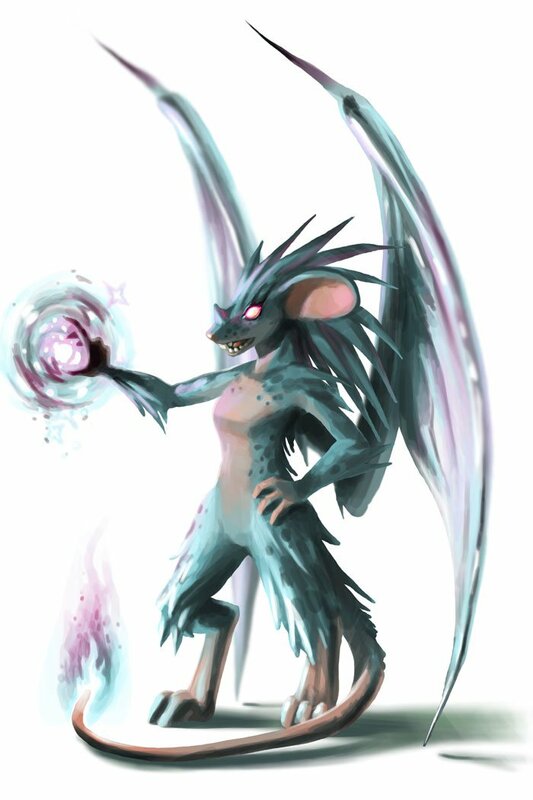 The Icewing is a breed of mouse found in the final zone of the Iceberg: Icewing's Lair. It is known to drop Ancient Relic, Deep Freeze Base Blueprints, Drill Charge, Hunting Research, Satchel of Gold, Steam Nine, War Scraps, Wax Charms, and Zugzwang's Scarf as loot. Legends tell of an ancient, hateful mouse, a child of wrath and ice, spoken about only in hushed tones around campfires to scare children and the weak-hearted. But this mouse is no fairy tale, and has a long and dark history with the Kingdom of Gnawnia. Long ago, a powerful band of evil mice descended yearly upon Gnawnia in fearsome raids, stealing cheese and terrifying everyone. Icewing herself lead many a raid, and was next in line for rulership when the jealous chieftans banded together and cast her out, fearful that with her incredible power and cruelty, she would have done the same to them. Icewings have no specific preference for any kind of cheese. The Icewing can only be encountered after entering Icewing's Lair at least once previously, having caught a Frostwing Commander on the first occasion. The hunter must also not have taken more than 425 hunts. Catching Icewing with Steam Laser Mk. II armed is the only way to obtain Steam Laser Mk. II (Broken! ), which can in turn be smashed to obtain parts necessary for creating Steam Laser Mk. III. The Icewing drops the Icewing Egg during the annual Spring Egg Hunt. The Icewing was painted live on 3 December 2010 during an 'All about the art' Feedback Friday. Ideas and suggestions for how the mouse should look were provided by the audience at the time of painting. They were released on 24 May 2012 with the opening of the Iceberg location. They began to drop additional gold, research, and charm loot on 1 June 2012. On 14 June 2012 they began to drop Deep Freeze Base Blueprints as loot. On its original release, the Icewing could only be encountered and caught when the Steam Laser Mk. II or Steam Laser Mk. III weapons were armed. This weapon requirement was removed on 18 June 2012. The Icewing began dropping Ancient Relic as loot on 29 August 2012. This page was last edited on 21 November 2017, at 20:31.